Being in the South East Asian region, Malaysia is currently in focus where the Oil & Gas sector experiencing a massive boom. Affordable Real Estate is the key point for many MNC's to explore opportunities within the county. Office4rentkl.com offers easy office space solutions with a dedicated commercial estate agent team focusing on office space for rent & lease in Kuala Lumpur, office for rent in Petaling Jaya, Golden Triangle office space for rent, as well as CBD of Mid Valley and Bangsar South. Key areas such as MSC status office for rent in KL Sentral, Damansara Perdana, TTDI is also featured in this website, where users can easily browse for office space for rent. In addition, serviced office for rent/lease is also included in our portfolio for organisations who are on the look out for short term offices for rent. With ease of browsing at your convenience, we bring you offices for rent in Malaysia at your fingertips at home or during office hours. We have included suburban areas that consists office space for lease Mont Kiara, Hartamas, Bangsar, Damansara Heights, USJ, Ara Damansara as well as office for rent Putrajaya & Cyberjaya. 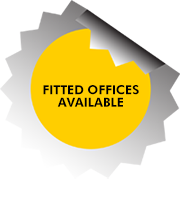 Get in touch with one of our commercial estate agents today for assistance in your office space requirements. Our team consists of highly trained and professional commercial estate agents to service your office space for rent needs. With a proven track record and service with a smile, we help you in sourcing out office space for rent in Klang Valley up to the South East Asian region. With over 130 office buildings offering office for rent, tapping into our resources you will be able to find the right type of office space to rent. So look no further and give our estate agents a call today.